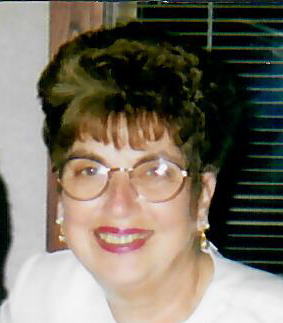 Constance C. (Brunelle) Dufresne, 83, of Woonsocket, died September 7, 2018 in The Holiday, Lincoln. She was the wife of the Raymond L. Dufresne, whom she married September 4, 1954. Born in Woonsocket, RI, she was the daughter of the late Albert O. and Emilienne L. (Lamarche) Brunelle. She worked for A.T. Cross in Lincoln. Connie was a communicant of the former Our Lady Queen of Martyrs Church, now Holy Trinity Church. Besides her husband, Raymond, she is survived by her son, David Dufresne and his wife Dawn of Woonsocket; her daughter, Susan Turcotte and her husband Richard of Goffstown, NH; her brother, Albert Brunelle of Lincoln and four grandchildren, Matthew and Danielle Turcotte and Chase and Alexis Dufresne. A Mass of Christian Burial will be celebrated Wednesday, September 12, 2018 at 10 AM in Holy Trinity Parish (formerly OLQM), 1409 Park Ave., Woonsocket. Burial will follow in St. John the Baptist Cemetery, 314 Wrentham Road, Bellingham, MA. Calling hours are omitted. In lieu of flowers, memorial contributions may be made to The Holiday Activities Fund, 30 Sayles Hill Rd., Manville, RI 02838.